Situated within a SHORT WALK OF HEMEL OLD TOWN. This end terrace THREE BEDROOM home is offered CHAIN FREE and boasts a downstairs CLOAKROOM, fitted kitchen, lounge dining room and a family bathroom, outside can be found enclosed gardens and ample parking. Worthy on an immediate viewing. Double glazed front door, radiator, telephone point, central heating thermostat controls. Comprising of low level WC, wash hand basin with tiled surrounds and double glazed window to front. Fitted with a range of base and eye level storage units, display cabinets, ample work surface areas, single drainer sink unit with mixer tap set below double glazed window to the front, plumbing for washing machine, gas and electric cooker points, wall mounted gas boiler serving central heating and hot water, tiled surrounds, radiator. Double glazed window to rear, fire place, TV point, two radiators and double glazed french doors to the rear garden. Stairs to the first floor, radiator, access to loft space, door to the airing cupboard. Double glazed window to the front, radiator, built in wardrobes. Double glazed window to the rear, radiator, built in wardrobes. 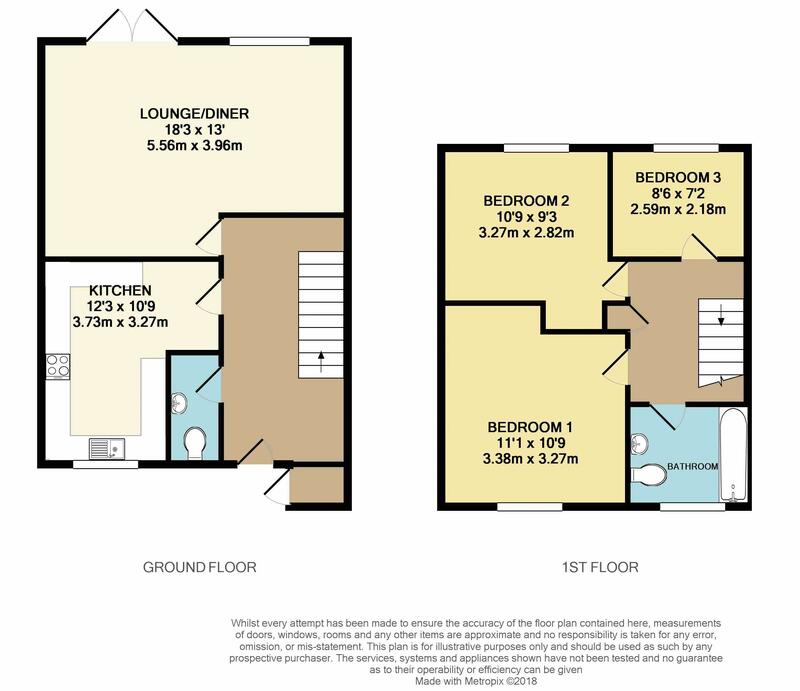 A white three piece suite comprising low level WC, pedestal wash hand basin, panel bath with mixer tap and separate electric shower over, tiled surrounds, radiator, double glazed window to the front. An open plan front garden, outside bin store. An enclosed rear garden paved to the immediate rear, laid to lawn, timber storage shed, gated side access.